With GoodSync, you can include data stored in your Mega storage to be one (or both) of the sides in any data backup or synchronization job. GoodSync also allows you to protect privacy of your data on MEGA by encrypting it on your device. You can automatically synchronize with encrypted Mega storage and/or access encrypted data transparently via GoodSync Explorer. 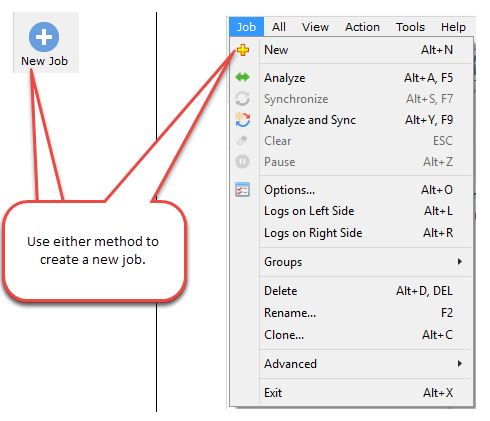 1) In the Job menu, select "New" or click the "New Job Button" in the toolbar. Enter the name for your new Job. Select Backup or Synchronize as your Job type. 4) Select MEGA from the list of supported services. 5) Provide your email address and password into the appropriate fields and click "Go." 6) If the correct credentials are provided, your MEGA storage contents will show in the GoodSync interface. Select the files and folders in your MEGA account that will be a part of your GoodSync Job and click the "OK" button. 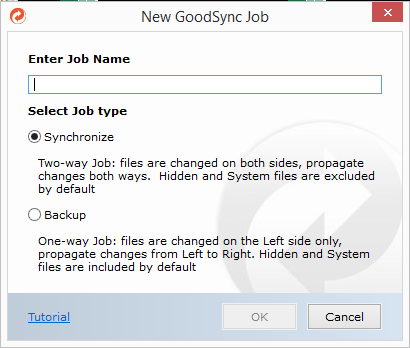 7) After your Mega files and folders have been selected, you may read about other GoodSync Job options here.